PGIMER Chandigarh doctors are asking their patients do some lifestyle modifications to avoid cancer. In this lead, to avoid Colon Cancer docs are asking to endorse old indian sitting style while eating food. And yes, there’s a scientific logic behind it too. Talking on this issue Dr Rakesh Kapoor, Professor, Radiotherapy Oncology, PGIMER says that Colon Cancer was never seen in India. It was prevalent in western countries. Now it is seen in our country more commonly. Why? There’s a reason behind that. We used to eat our food while squatting down on floor. We first properly sit and then have our food. This was our old traditional way of having our meal. But now, due to our western adopted lifestyle, we eat while standing in social gatherings. Even at home we eat food in hurry while standing. So, when we eat food while standing, the passage time of food decreases which shall be of atleast four hours. In our old sitting style of eating, food first rest in stomach then slowly reaches the rest of the parts in four hours. In old style food ingredients benefits each part of organs in perfect timing. But now food rests at wrong time, passes at wrong time and even digests at wrong time hence Colon Cancer exherts Dr Kapoor. 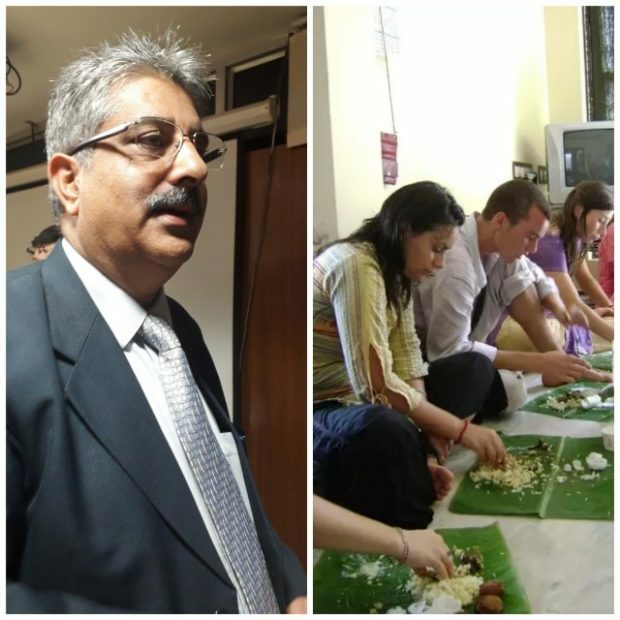 Stressing on old style of cooking, Dr Kapoor says that our indian style of cooking has been the best one. Use of garlic, ginger, turmeric does wonders to our body. But our western adopted lifestyle is ruining everything. So, do use all indian masalas while cooking food. Be proud Indian, sit Indian, eat Indian and live kingIndian style! !